It has become something of a tradition in our family to have two year old photos taken to celebrate this milestone birthday. Our youngest daughter just turned two and my mother-in-law has been talking about getting her two year old photos taken soon. Instead, I thought it would be fun to surprise Grandma! My oldest daughter posed with a wooden number two in her birthday photos. We wanted to keep the same theme (a large physical number in the photo), but change it up slightly so each girl’s shots would be unique. STEP ONE: Using the Exacto knife, cut strips of foam board about 2″ wide. The length depends on how large you want the finished number to be. Cut and arrange as needed until you have the shape as you’d like, then wrap tape around each connection to snugly fasten. It’s ok if this number doesn’t look perfect, because we’ll be covering it with balloons! 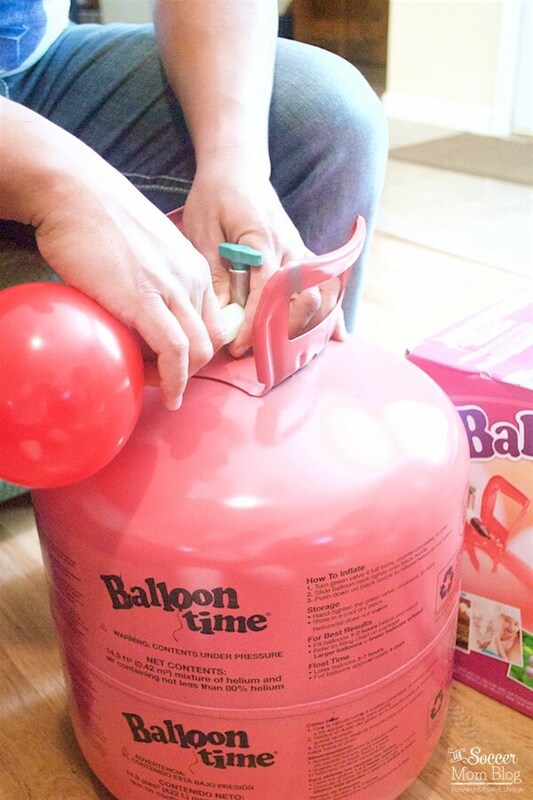 STEP TWO: Using the Balloon Time® helium tank, inflate balloons to about half of their maximum capacity. 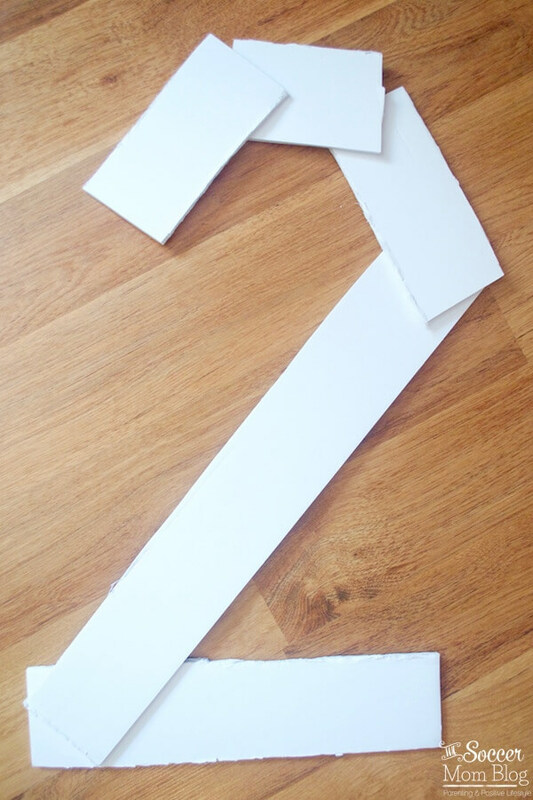 Tape closely together along the top of your foam board number. 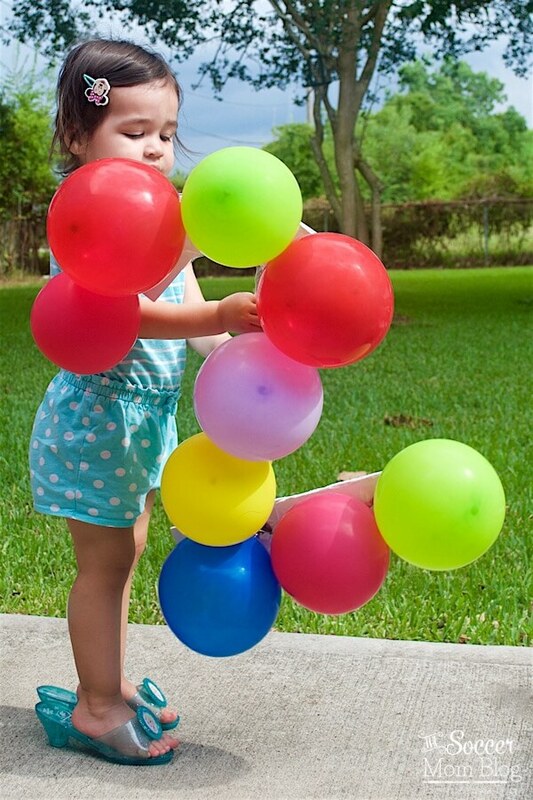 (Only filling balloons halfway will keep your finished number from floating away). 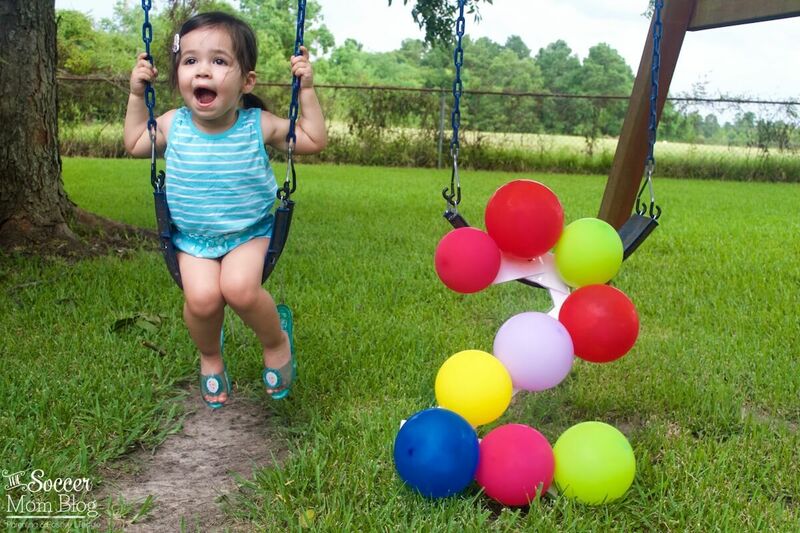 We used a rainbow of balloons so the finished number would really “pop” against the greens and blues of our backyard. We chose our backyard for practical reasons: our two year old may only cooperate/smile for a few minutes and driving somewhere might cause us to miss that window of opportunity! To encourage my daughter to participate, I let her choose her outfit (one of her favorite rompers) and wear her dress-up play shoes (which happened to match perfectly)! She was excited and we were able to get a handful of adorable photos before she decided that was enough. 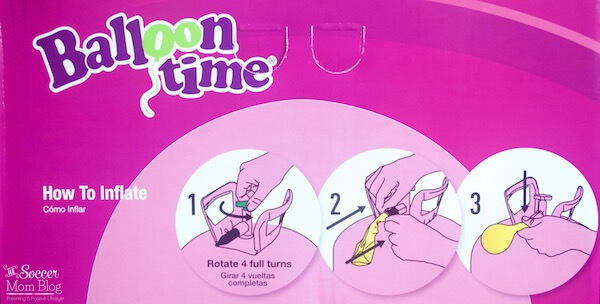 CLICK HERE for more inspiration on how to have a surprise anywhere and where to purchase a Balloon Time helium tank! 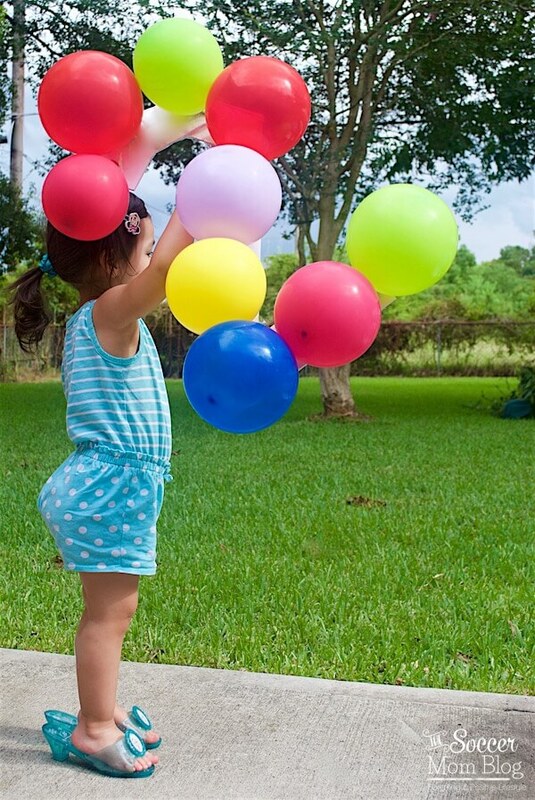 You’ll also find tips, tricks, DIY balloon ideas, and a video featuring Jenn Sbranti at Hostess with the Mostess!